Are you looking to transform your WordPress site into a fully functional membership site? Choosing the right membership plugin is crucial to creating a better platform. A membership plugin is designed to help you create memberships and then give these members access to exclusive content. How does this boost your bottom line? In this post, we share 6 of the best WordPress membership plugins to get your site up and running in 2019. With all of the membership plugins out there, how do you choose the right one for you? There are 3 key areas to consider: ease of use, compatibility, and design and features. Let’s talk about each of those areas a little bit. It comes with all of the essential features, but what if there’s another feature you need later on? Just install the add-ons as needed. Your interface may be crowded, but you’ll have plenty of features at your fingertips. It’s easy to take a WordPress membership plugin for a compatibility test drive. Simply test it on your local WordPress install. If it’s compatible with your WordPress theme and plugins, you can install the plugin on the production site. Do your customers want to check out using PayPal or Authorize.net? Perhaps you’d like to streamline your checkout process by offering multiple payment gateways? What do you want your pricing page to look like? Are you interested in supplying your members with drip content? Once you know the answers to questions like these, you’re set to decide which membership plugin has the right features and design for you. MemberPress is a WordPress-created plugin that calls itself the “all-in-one membership plugin for WordPress.” The most popular version (the Plus version) goes for $249 per year at regular price. Integrates with Constant Contact, Mailchimp, AWeber, GetResponse, etc. With MemberPress, you can create an unlimited amount of memberships (and customize all of them, including prices members pay, who can become a member, and how long a member’s trial period will last). Then, you can place your members into groups, control their upgrade paths, and create dynamic pricing pages. It’s easy to send reminder emails to your members as well – for instance, this feature makes it simple to advertise holiday promos or flash sales. This plugin also gives you control over your coupons. You have the power to control expiry dates, select a discount percentage or fixed amount, dictate which products they apply to, or change the coupon code (normally automatically generated) to a code of your own creation. MemberPress handles payments automatically, as long as you have one payment method setup and one product created. The plugin also has built-in support for payment gateways like PayPal, Stripe, and Authorize.net. WooCommerce Memberships starts at $149 for a single site. Before you can download the membership plugin, you’ll need to download the free WooCommerce plugin. Plus, if your membership site is going to accept recurring payments, you’ll also need the WooCommerce Subscriptions plugin. 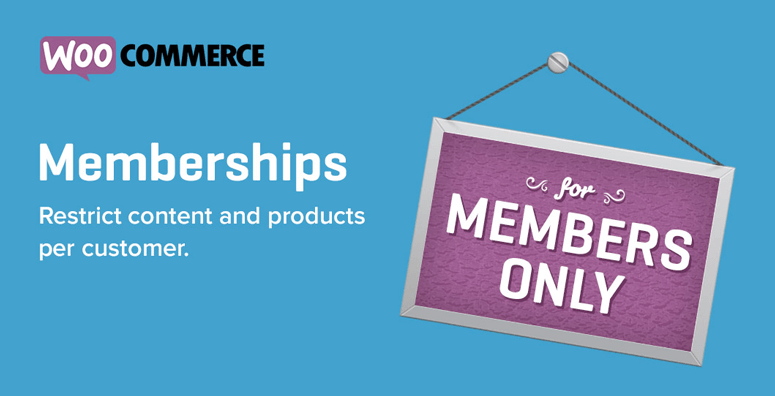 In WooCommerce Memberships, you can create a purchasing club, which means members have to sign up to be in the club before they can make a purchase. You can even make them sign up to get access to purchase exclusive items! You’ll be able to use the email addresses you’ve collected by growing your membership site to email notices to your members about loyalty discounts or holiday sales. The WooCommerce membership plugin also allows for you to gift a membership alongside the sale of one of your products. It may also be reassuring to know if you’re not satisfied, the WooCommerce membership plugin offers a 30-day money back guarantee. 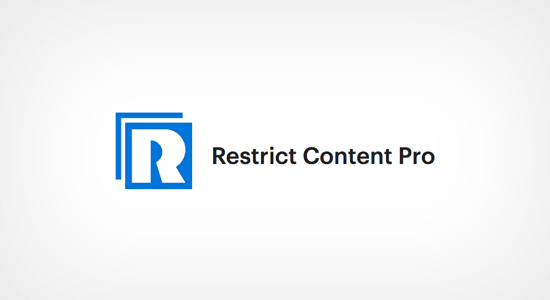 The most popular version of Restrict Content Pro is the professional version, which sells for $249 per year. If you feel less confident about setting up your membership plugin, Restrict Content Pro could help: the plugin offers notes to guide you through the setup pages. This plugin also comes chock full of features to regulate content access, and the developers are constantly adding new features. Restrict Content Pro offers plenty of options for payment integration, including Stripe, Braintree, 2Checkout, Authorize.net, PayPal, and PayPal Standard and Express. The plugin can also handle multiple payment options at once. To “try before you buy,” check out Restrict Contents Pro’s live demonstration site. The major perk involved in using Paid Memberships Pro is that it’s FREE. Support, premium content, members-only forums, donations forms, email confirmation, recurring payment email reminders, sitewide sales, and WooCommerce integration. Otherwise, all of the usual features of a membership plugin are included. S2Member’s ‘Framework’ version is available for FREE. The Pro version can be purchased for $89. 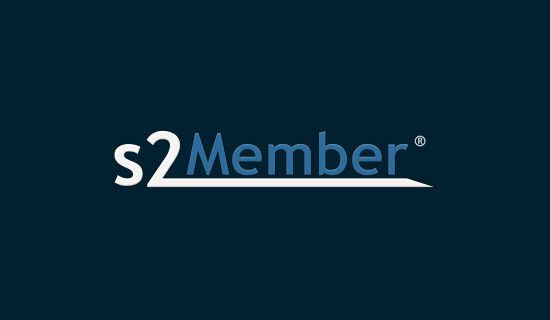 S2Member is one of the most comprehensive membership plugins. Due to the interface’s many features, learning to navigate S2Member can take some time. Also, the membership plugin uses shortcode almost exclusively, so complex integrations can be made with ease. aMember Pro sells for $149.36. aMember was built in PHP but allows for integration into WordPress. Therefore, one of the downsides of using aMember as your membership plugin is that you may experience compatibility issues with other WordPress plugins. If that’s not a huge concern, one of aMember Professional’s most attractive features is that it boasts over 200 payment options (including PayPal, Stripe, and Authorize.net). Which WordPress Membership Plugin Is Best For You? We’re big fans of MemberPress and we’ve found that it’s the best membership plugin you can have for your WordPress site. It has all the features you need, as well as excellent documentation and support. 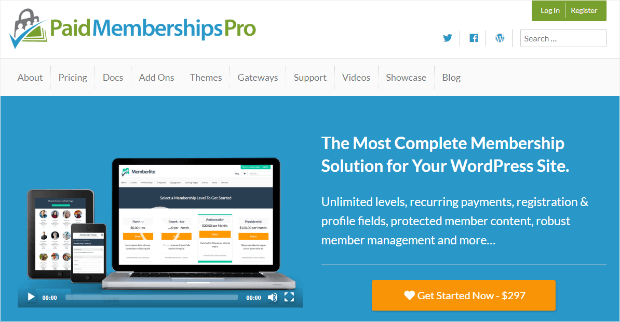 MemberPress is also the most comprehensive WordPress membership plugin. Looking for something simple and flexible that will get the job done? You can’t go wrong with Restrict Content Pro. Their team has a proven track record for creating great products. Whichever WordPress membership plugin you choose, now’s the time to create your thriving web-based community. And start cashing in! Start generating leads for your new membership site now by joining OptinMonster today! Carimé Lane is an Ontario-based freelance writer and law school student.